Rep. Gerry Connolly and Fairfax County board of supervisors Chairman Sharon Bulova held a town hall on the opioid crisis Saturday, where experts weighed in on the epidemic. WASHINGTON — The opioid crisis is not going away any time soon; in fact, it’s only getting worse. Since 2000, the heroin and opioid epidemic has killed more than 200,000 Americans, according to Rep. Gerry Connolly (D-Va.). “Every day 91 fellow Americans succumb, lose their lives to the opioid problem,” Connolly said, who teamed up with Fairfax County board of supervisors Chairman Sharon Bulova to hold a town hall on the opioid crisis Saturday. Connolly said that Virginia has seen a 40 percent spike in opioid deaths and from 2015-2016 and also a significant increase in synthetic opioid deaths. During the same time period, Fairfax County saw an increase from 67 to 97 opioid-related deaths. Last year in Virginia, more than 1,000 people died from the epidemic. The town hall had a panel of experts including Secretary of Health and Human Resources William A. Hazel, Jr., Fairfax County Director of Health Dr. Gloria Addo-Ayensu, Community Services Board Assistant Deputy Director Ms. Lyn Tomlinson, Inova CATS Program Medical Director Dr. Husam Alathari and Maj. Amanda Lambert of the Prince William-Manassas Regional Adult Detention Center. Hazel called the epidemic less of an opioid issue and more of an addiction issue that needs a strong prevention component to win the ongoing battle. 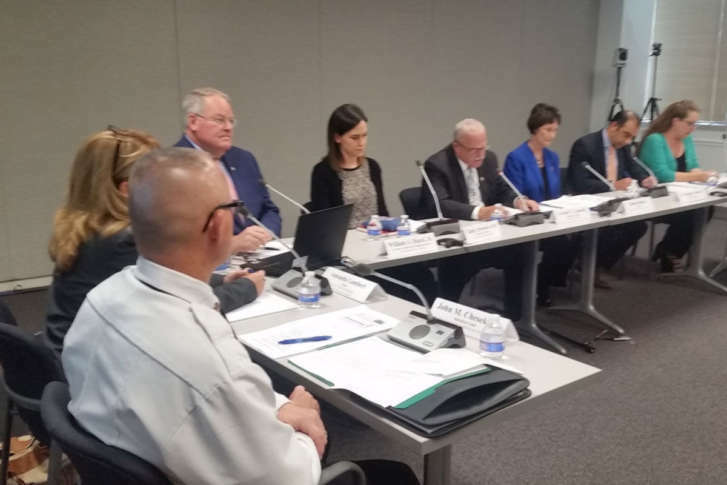 Bulova said the Fairfax County Board of Supervisors has allocated funds from the carry-over budget to help address the opioid epidemic. The board also created an opioid task force, which she said will develop a countywide plan outlining strategies and resources related to education and awareness, drug disposal and monitoring, treatment, enforcement, criminal justice and data monitoring. Bulova said the town hall’s goal was to bring resources to help the local community and bring the issue out in the open.